My favorite characters are Priscilla and Stephen because they are so much alike. They both are intelligent, gifted, and loving. They also believe strongly in their Amish faith but aren't quite ready to take the kneeling vows. Priscilla sets out on an adventure against her parents wishes but because of her strong love for painting she hits the road to Florida. Stephen stands along side of Priscilla and encourages her to seek out her dreams to paint different landscapes using the ocean views. Stephen also proves to Priscilla how much he loves her by phoning her every night and talking about their dreams gor the future. I was not given a complimentary copy of this amazing book to read and review. I was not approached to post a favorable review at anytime. I have rated this book with five stars for meeting my expectations of a wonderful story that i can highly recommend to all those who love the Amish genre. All opinions stated are strickly my own. 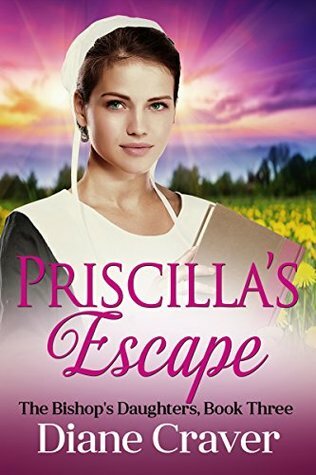 Sign into Goodreads to see if any of your friends have read Priscilla's Escape.